A moisturiser with a hint of tan for that gradual glow! 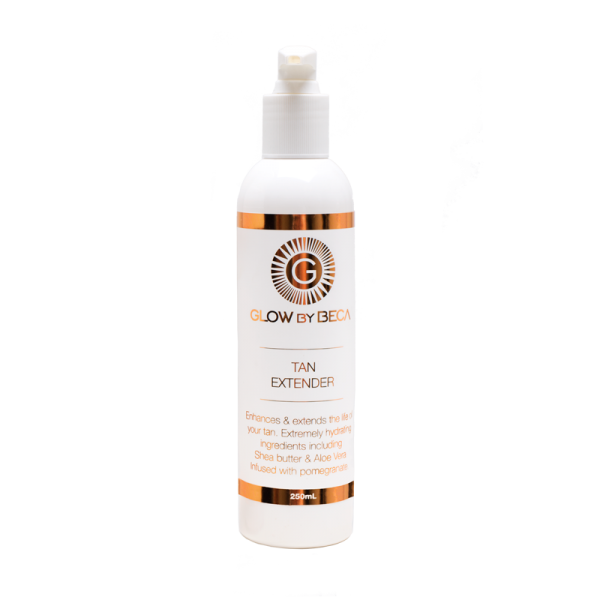 Formulated to speed up a natural tanning process, as well as extend the life of any tanning solution. Infused with Shea Butter and Aloe Vera, it’s extremely hydrating and non greasy. Get the most out of your tan! Apply generously in circular motion to increase the product to absorb. Use sparingly on elbows and knees, and wash after use. Use Every second day to maintain your self or spray tan. Use daily for up to 4 days prior to sun exposure or post holiday to enhance a natural tan. This is an absolute must have to compliment your tanning regime. I find it enhances and extends the life of any tanning solution whether it be from sunlight or a sunless tan solution. It can be used before, during or after a holiday. Always patch test 24 hours prior to use. If irritation occurs discontinue use. Do not use on broken or irritated skin. Avoid getting this product in your eyes, if you do, simply rinse thoroughly with water. This protect does not contain sunscreen and will not protect your skin form sunburn. GlowByBeca is Proud to be Australian made and owned. Raising the bar in sunless tanning, Salon quality finish with our self tan and skin care in one. Our range is 100% natural. Both Professional Spray on solution and our self tanning products are a chocolate ash based, fast drying and odourless. 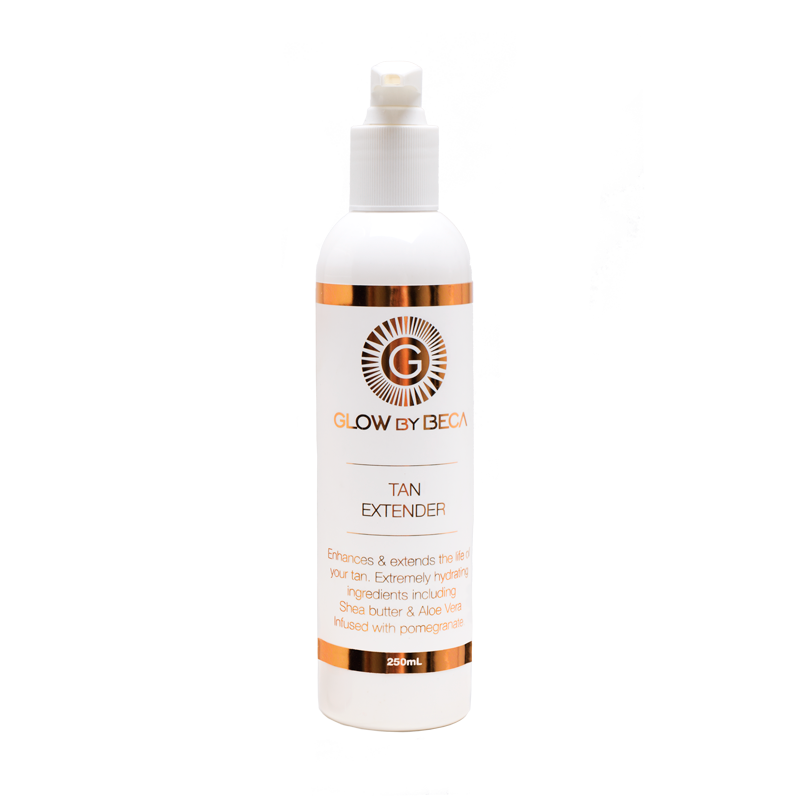 Glowbybeca is rich in vitamins and organic oils to hydrate your skin leaving you with a longer lasting tan thats glows. Become apart of my Glowing Tribe and I'll share my tips, tricks and special offers with you! © 2019 GlowByBeca · Designed by DeeperLook.